Hide deals from seller "Xanadu Nails & Spa"
Limit 1 per person. Valid on a full set of gel nails with French tips. Valid Monday-Wednesday only. By appointment only; must mention voucher when scheduling. Promotional value expires 60 days after purchase. Polish your look with 50% off a full set of gel nails with French tips at Xanadu Nails & Spa in Hoffman Estates ($40 value). 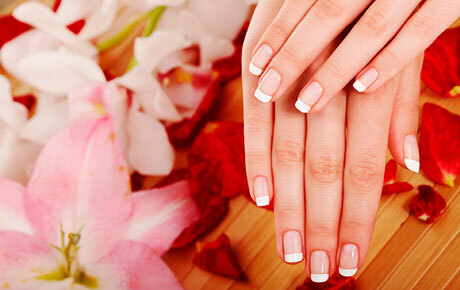 This service will give you the classic look of a French manicure with the natural look and durability of gel nails. This new nail salon offers clients a host of services in a comfortable atmosphere. The chic décor combined with state-of-the-art amenities ensures you will feel relaxed and rejuvenated while you receive their high-quality services. Xanadu Nails & Spa offers a complete menu of nail services as well as a large selection of nail polish colors. Their experienced technicians also offer waxing services and paraffin treatments to soften your hands and feet. Salon in Hoffman Estates offering nail services and waxing.